As many of us airsofters are real steel enthusiasts as well, we got permission to post this here. 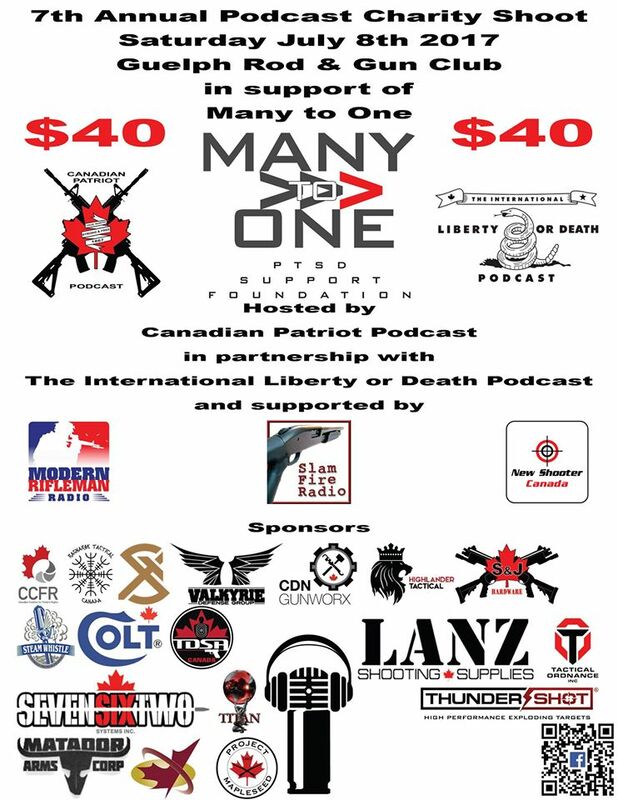 Fantastic opportunity to support a PTSD charity and send some rounds down range. Tons of prizes to be raffled off and giveaways throughout the day. Group accommodation not available at this time. Pub nights to be in the area of Stone Rd and Gordon St, Guelph. There are several hotels in this area. Stone Rd and Gordon St is about 15 minutes from Guelph Rod and Gun Club. As I don't shoot real steel i cant participate but I plan to stop by and drop some money in support of this since it is less than 10 min from my house. Thank you! We will be in our Many to one tent. Come find us! All times are GMT -4. The time now is 16:37.